Get ready for fun in the sun! In Vacation Adventures: Cruise Director, you’ll be the Cruise Director on the luxurious S.S. Liberty of the Waves. Arrange fabulous excursions to Mexico, the Caribbean, Rio etc. 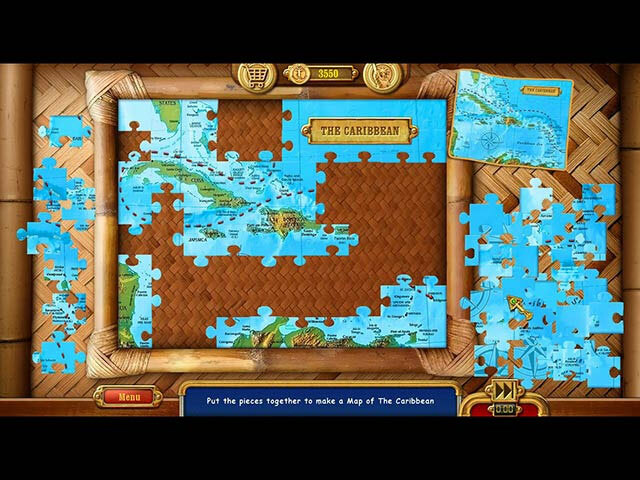 Visit pyramids, ride in helicopters and sail in glass-bottomed boats in this hidden object game. Collect souvenirs of the Ports-of-Call. Help passengers, visit cabins, on-board entertainment, evening shows, on-board sports, relaxation activities. Look for hundreds of hidden objects, lost and found items and recycle trash. Earn merit awards for your special achievements. It’s the cruise of a lifetime! Join the fun in Vacation Adventures: Cruise Director today!